If there is one thing Joe and I have in common is that we set huge goals. Spartan Up was no different, as Joe De Sena set out to find out “the secret of success” in 500 podcast episodes. The goal is just large enough to be impressive, yet has a very specific deadline in the future, after which the episodes can be available online indefinitely. Or sold as a package. Ha. 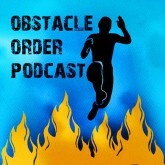 Launching a podcast was a great move for Spartan Race on a number of fronts. 1. Production of free content is one of the most common strategies companies use to build their brand. Content in exchange for loyalty. Check. 2. The six months before Spartan Up was launched, Joe De Sena appeared everywhere from Barbell Shrugged to Marathon Academy. Increased awareness – check. 3. The public platform makes it easier to connect with the “important” people. It’s much easier to “interview” Richard Branson for a podcast about success, than to simply get a chance to chat with Richard Branson. Increased opportunities for building connections – check. 4. Having a panel of co-hosts takes the direct pressure of De Sena himself, therefore, allowing the podcast to continue indefinitely, if/when he decides to no longer be involved. Long-term scalability – check. 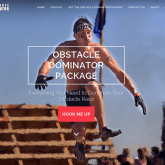 The epitome of grit, Joe Desena, founder & CEO of Spartan Race and NY Times best-selling author, travels the globe seeking answers from experts like Sir Richard Branson, Steve Pressfield, Tim Ferris and many more. Joe’s interviews with authors, academics, athletes, adventurers, CEOs and thought leaders will shift your thinking, make you laugh and give you the tools you need. He’s on a mission to find the secrets to success in all aspects of life. Not only does Joe interview epic people, he has brought together an amazing panel to break down and analyze every aspect of these interviews. We give you the ultimate blueprint and action steps to assimilating there powerful conversations into your own life. A typical episode includes an interview with a successful individual, followed by a panel discussion. Note that while the episodes vary in length from twenty to thirty minutes (optimal for a podcast), the actual interviews are often much shorter. I love the multi-modal presentation of the podcasts – you can listen to the interviews on both iTunes and Stitcher, as well as watch the videos of the interviews on YouTube. Also, definite thumbs up for the call to action embedded in the episodes: “I hope you are not sitting still while you listen. If you are, you better get a burpee break in!”. I wish more podcasts called for some physical movement. A great departure from the typical messaging of “never quit!”, the CEO of Global Rescue talks about when quitting is the right thing to do. Grey hair and the greatest number of exploring world records – this guy is a real deal. While Joe is not a very good interviewer; as a speaker, he manages to be both engaging and entertaining. In fact, I would have loved to hear more. Perhaps, his panel could interview HIM? Despite boasting some amazing individuals, for the most part, the choice of guests lacks focus. Yes, the theme of the podcast is “success, however you define it”, but I was not able to see that theme communicated clearly. As a group, guests make up a pretty random bunch. In some instances, convenience of interviewing someone seems like the major determining factor (local Vermont business owner, Joe’s friend, etc.). Some interviews are downright painful to listen to, ranging from rehashing of platitudes about persistence and perseverance to rambling timelines of boring events. The term “quantity over quality” comes to mind. The follow-up panel discussion seems like content padding. I do not get a lot of value from, nor do I understand the ultimate purpose of that discussion. After all, isn’t the point of the interviews with successful people is to learn about those successful people, and not what four people in a barn (however, amazing) think about those successful people? I also found the premise of the podcast to be a little too “Tim Ferris”, without actually being Tim Ferris. For example, Tim Ferris “deconstructs world-class performers”, while Joe “interviews experts to find out the secret to success”. Tim Ferris digs “deep to find the tools, tactics and tricks that listeners can use”, while Joe gives you “the ultimate blueprint and action steps to assimilating these powerful conversations into your own life”. You know when someone asks you a question, and you get an impression that they are looking for a very specific answer? As in – they already made up their mind about what that answer should be, and they will do their best to drag that answer out of you? That’s the impression I get, listening to Joe interviewing various folks on the podcast. Joe: So, what you are saying is ______ [insert an absolutist black-and-white statement here]. The scientist politely: Umm… not quite. Want to solve the obesity epidemic? Have everyone up at the break of dawn, arranged in ranks and doing burpees. Never give up. Never surrender. Ra-ra-ra. No sugar. No alcohol. Militant regime. Curfew. A bit simplistic, don’t you think? Not to mention… scary! … this is where I think Joe is wrong. Resilience is not that rare. Grit is not that rare. People who summit Everest are rare. I’ve met two. Yet I’ve met LOTS and LOTS of resilient people. You see, resilience looks different in different people. So if you take a myopic view, you’ll miss it. Not all resilience includes burpees. Or Everest. This is the conclusion he arrived at long time ago, as that’s what has worked for him, and he is not interested in changing his mind. It is a tad ironic that someone who claims to never back away from a challenge, would be so challenge-averse, when it comes to changing worldviews. 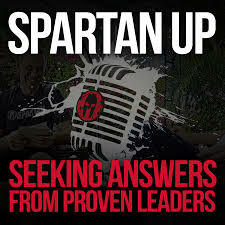 Spartan Up is a decent podcast, and if it gets loyal Spartan Race fans listening to podcasts (this one and others) that’s awesome. If you want to get a taste for something a bit more sophisticated, check out Tim Ferriss’ Podcast and Krista Tippett’s On Being. YOUR TURN: Do you love Spartan Up? Hate it? Why? Why not? What other podcasts do you listen to? Liked this post? 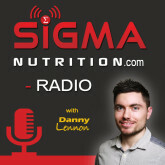 Check out my Sigma Nutrition Radio podcast review, and the post on what a real burpee looks like.